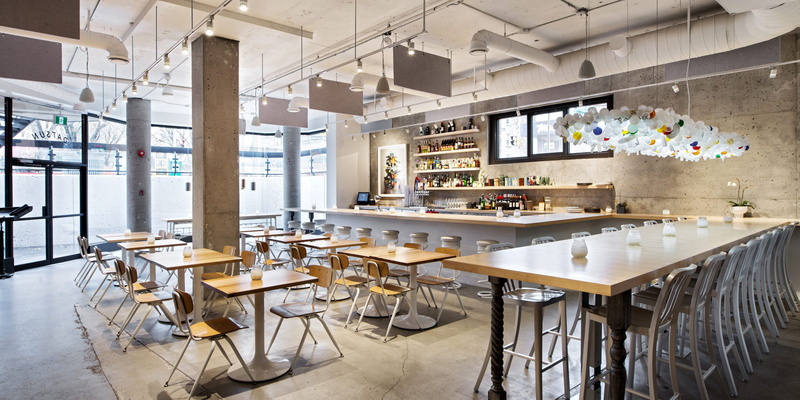 Restaurants are noisier than ever, but do they need to be? The idea of a quiet dining room is almost unimaginable in modern cuisine, with constantly changing styles and fashions in the culinary industry, has the quiet dining experience been left in the dust? There are numerous reasons why the dining area has become a much louder area over the past decade. Restaurant critic Adam Platt in an article on Why Restaurants Are Louder Than Ever points to Mario Batali, who in the late-90’s decided to start blasting the music his staff listened to while prepping food throughout the rest his famed Babbo restaurant. This began a kind of culinary revolution which dissolved the idea of a quiet front-of-house, and in combination with restaurants being established in smaller spaces, the size of the bar area increasing and the hard surfaced design aesthetic of late has created perfect storm for excessive noise. So how do you maintain the lively and energetic dining experience without pushing it to the point of ear damage? Generally the acoustic liveliness and energy of the room comes naturally with modern interior design, as acoustically reflective materials like hardwood, concrete, drywall, and glazing are commonly utilized finishes. 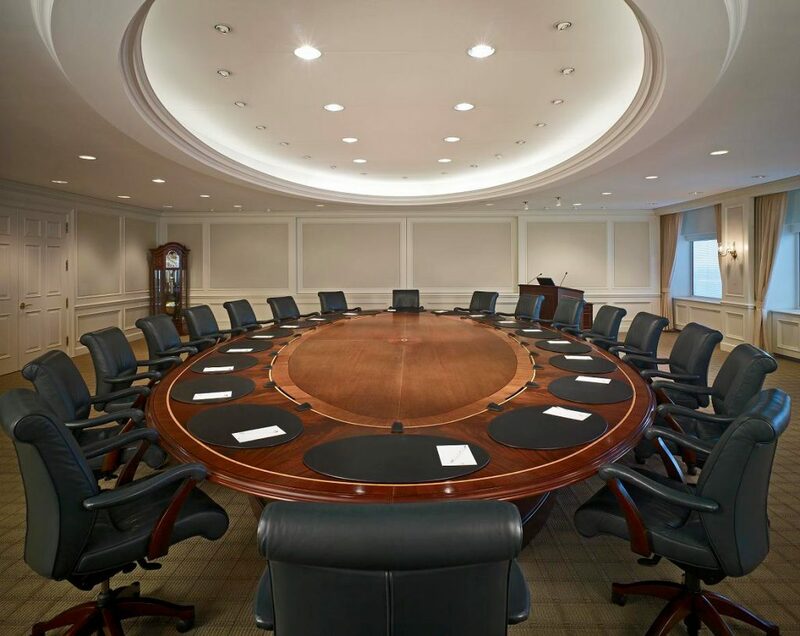 By covering some of these reflective surfaces with discreet acoustical absorption materials you can maintain the modern clean appearance while also negating excessive noise. 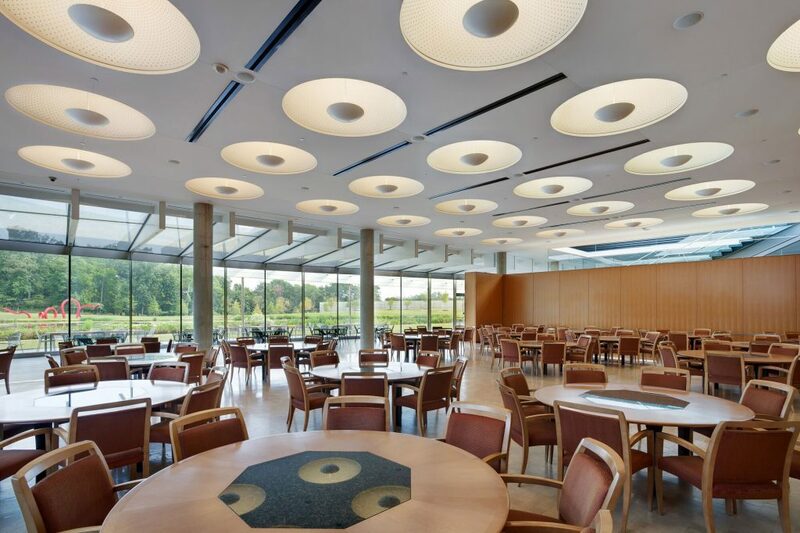 We believe discreet acoustical wall and ceiling finishes are the most appropriate solution for the dining room. 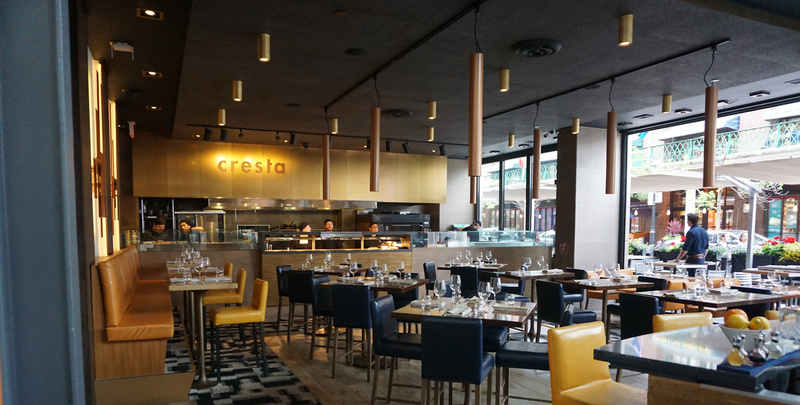 The restaurant pictured above utilized the Novawall stretch fabric system to cover what would have been a reflective painted drywall surface. 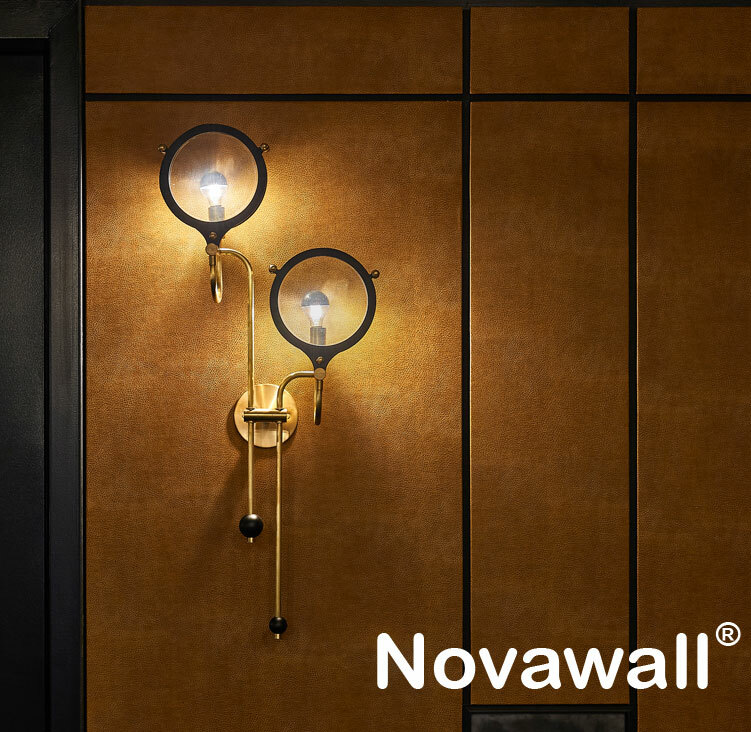 The Novawall system is installed directly to the substrate, offering a premium finish that can easily integrate lighting, air handling, and audio visual. You can select the fabric finish, and in future should you desire an aesthetic update the fabric can be easily swapped out for another colour or finish. Alternatively this system can be utilized to display art work with the option of custom printed fabrics. This is an excellent solution for restaurants with a variety of locations, and in need of a branding solution that can be easily updated in future. This option also works in applications where artwork would be utilized on a wall anyways, by using the Novawall you can have the same look while also relieving unnecessary noise in the space. Another wall treatment option would be our Cel panels, pictured above as a wall & ceiling finish to minimize noise in the space as well as mitigate street noise. This is a cost-effective solution best utilized in applications where durability, easy maintenance are a necessity. 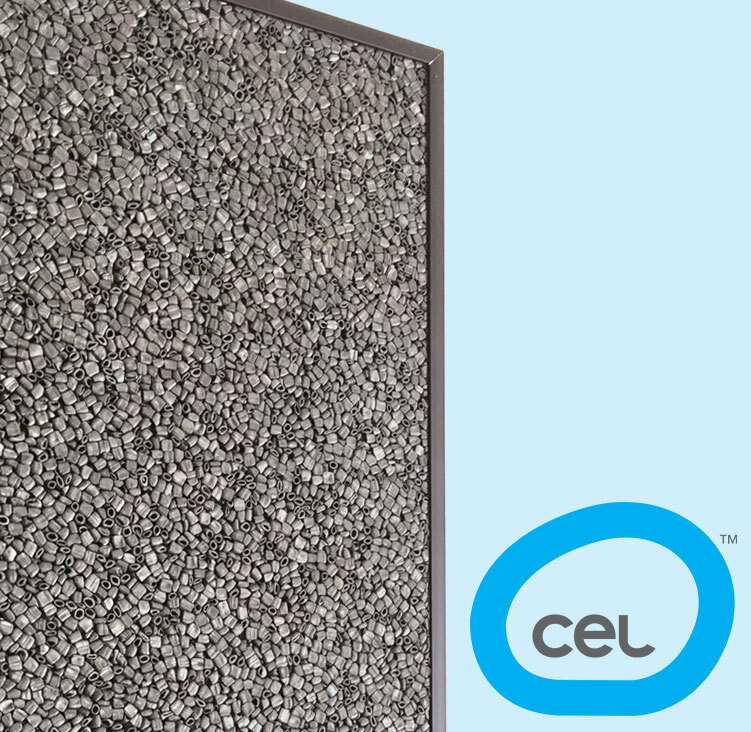 The textured surface offers a unique look, and the panel offers excellent absorption and diffusion characteristics. Once again in this application it was used as a discreet wall finish, directly mounted to the existing substrate. 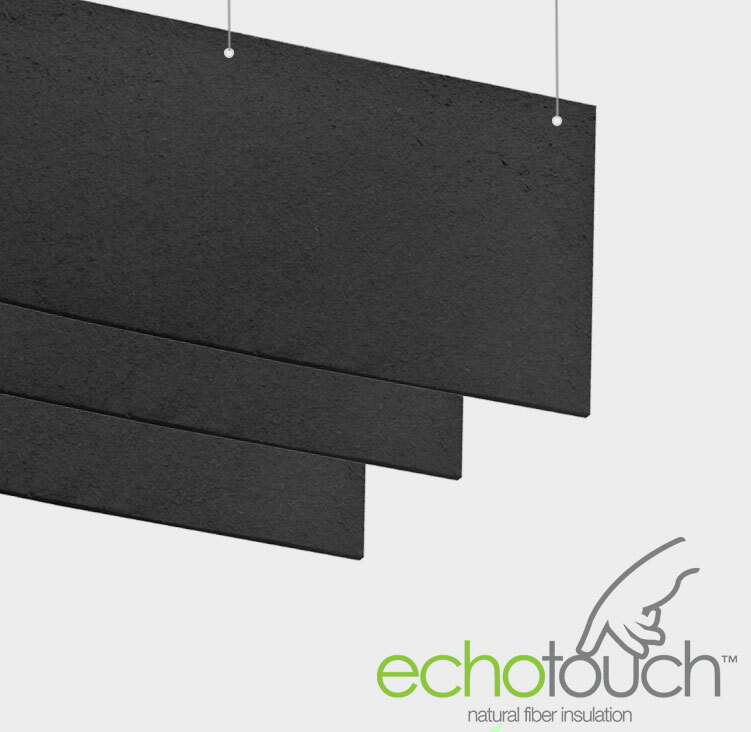 Running a restaurant is an expensive business, and for clients on a tight budget we commonly recommend the use of our EchoTouch baffles. This product is made of recycled cotton, and can be hung from grommets on either the 2’ or 4’ edge. This material offers an excellent acoustic absorption, and when hung as a baffle it will work to mitigate the acoustic energy in the space. 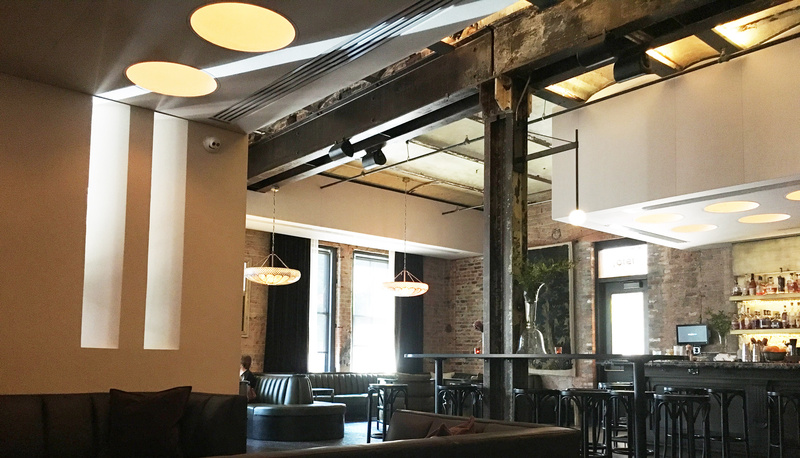 LineBox Studio did an excellent job utilizing light grey EchoTouch baffles in their design of Datsun Restaurant space (pictured below). 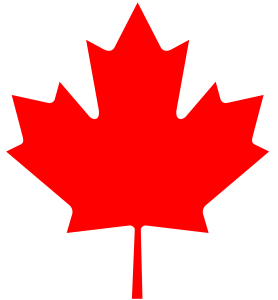 Need more information about the products or assistance with specifying the products? Feel free to contact us and one of our experienced sales reps will help you apply the best solution for your application. 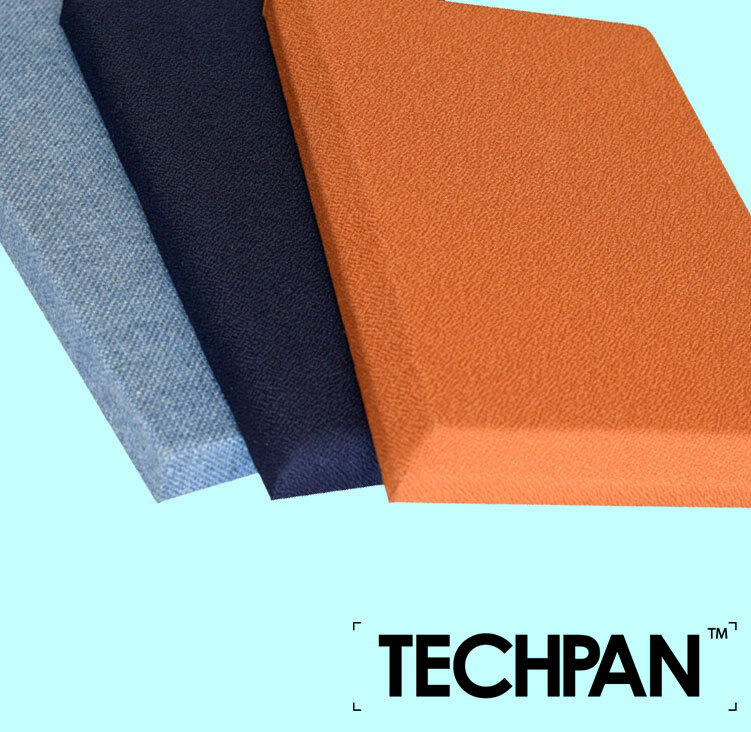 Made from recycled cotton, a cost effective noise reduction material that can be utilized as an acoustic core, wall panel or baffle. 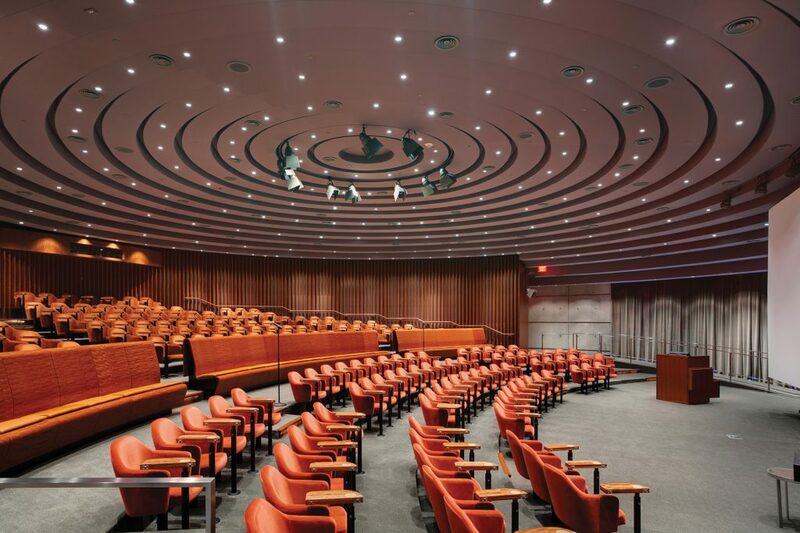 A resilient and versatile acoustical panel offering sound absorption, diffusion as well as a tackable surface. Site installed high-tension stretch fabric system, highly customizable solution for ceilings and walls with excellent noise reduction qualities. Custom manufactured fabric wrapped acoustic panels, baffles and clouds available in a wide variety of fabric and felt facing options.